If you aren’t providing information on your website that your audience is searching for, then all your optimization and marketing spend will simply go to waste. 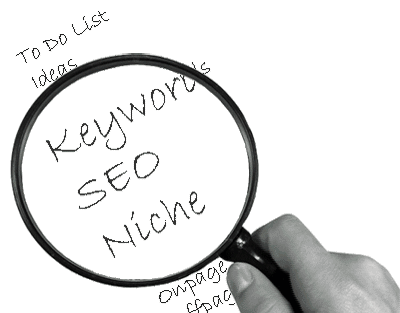 Keyword research is the back bone and essence of putting together the correct SEO Strategy for your SEO campaign. website is null. To ensure you generate a more profitable SEO campaign it is essential that you perform and include well researched keywords. Don’t understand the importance of responsive web design, check online. Want to know the popular eateries of your locality, search online. Forgot the meaning of the pet word used by your boss, look up it up on the web. And to search anything on the web, you need to type keywords to populate a result. The same process is followed by your audience. Your SEO strategy revolves around the type and kind of keyword/s you choose. It can become time consuming and a process but it will help you form a strong base for your online campaigns. SEO experts will always advice you to pick both long and short tail keywords. Understanding that SEO is a step-by-step process, you first need to rank on the long tail keywords and then narrow down the key phrase. At Noxster we believe in a combination of keywords to accomplish a little bit of everything. However there are various factors are kept in mind like: – studying your Google Analytics report, investigating the performance of the set goals, etc. Who- Know your audience in terms of their age, likes, dislikes, web search behavior, lifestyle, work background, etc. What- This helps you understand what kind of products or services do they search for and purchase. When- At what time are they active on the web- day, night, off season, peak season, etc. Where- Find out the geographical location of your audience. Why- Find a strong reason as to why the audience should use your product/service? How can it be beneficial for them? How- Find out the best channels to reach your audience- PPC ads, sponsored ads, social networking websites, etc. Keywords selection can simply leave you puzzled. So the ideal way is to use reliable keywords search tools like: – Google Adwords Keyword Tool which gives you detailed information about the keywords. This may include- monthly local searches, location specific search, regular search pattern, favorable search time, etc. Do some manual search. You may analyze instant search feature of Google. And then of course, competitor analysis is a must, in terms of their websites, marketing strategy and campaigns used. Checking the health of your campaign on a regular basis helps you strengthen your campaign and increasing the number of keywords that you are cross pollinating for. Start with 10 and if you do your job right should positively increase the rankings for countless others. Call Today for a SEO Analysis of your website 888-507-4944.